Whether you are planting a church or considering adding on a new location or venue, there are three keys for you to remember in order to launch the right way. This post will give you insight into discussions I have had with multiple church planters, church plant organizations, church leaders in and around San Diego and the US, as well as the mentor group that I am a part of in North County San Diego with Larry Osborne and North Coast Church. How far your audience will travel to your location. How natural flows of traffic determine your location's feasibility. 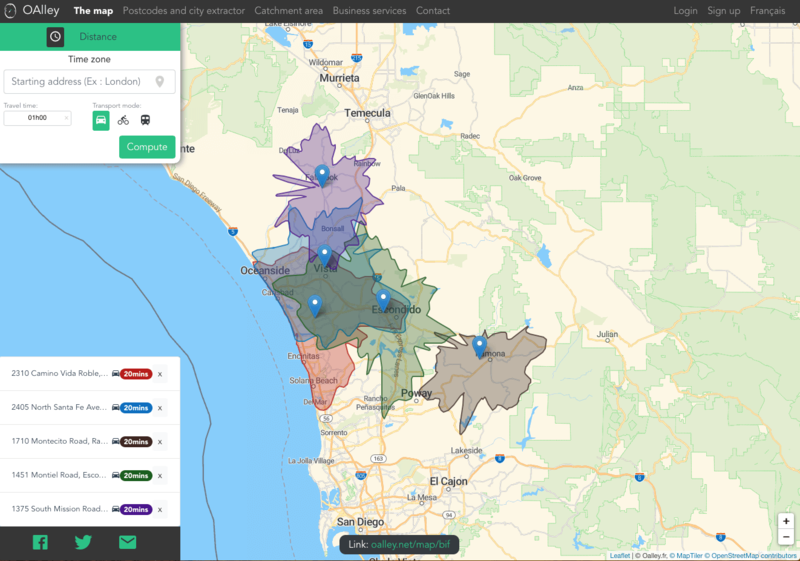 The best tool you can use to plot out your next location. How far will your audience travel? If you take a look at In N Out's location strategy, you will notice a pattern: the locations that are clumped together are almost always within twenty minutes of driving time between one another. North Coast Church has followed this practice and applied it to their six locations throughout North County. As they continue to add on more locations, this rule will govern where the next location will be. Most people in California are used to driving to get where they want to go, but on their own and in their comfort zone, they will not travel beyond 20 minutes (not 20 miles) to get to their desired location. Time is our greatest commodity, so this matters greatly. Remember: 20 minutes NOT 20 miles. The below map will show you exactly the reach North Coast can expect from their target audience and how far they can expect people will drive from their home to each location. 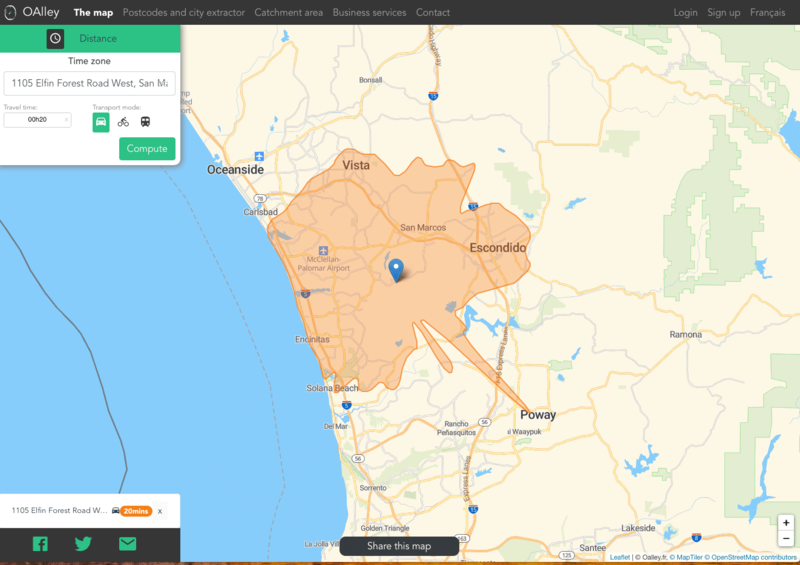 You will also see quite plainly that the next target areas would be: Rancho Penasquitos to the South (launching Spring 2019), Temecula to the North East, and San Clemente to the North West. How does natural flow affect location placement? The twenty minute rule is always in affect. In Southern California, we drive for everything. If we have work, sports, grocery stores, etc ... and our traffic flow always go in one general direction for our family, then we would naturally be drawn to a church location that aligns with this traffic flow pattern. The greatest mistake we could make here would be to place a church location opposite the natural flow of traffic for our intended audience. If we take a look at the North Coast map, we can see that San Clemente is a natural and easy observation to place a new location. However, no one in North County San Diego naturally drives that way. In addition to this, traffic can be a bear at any point in time especially along the 5, so our audience generally tends to stay away from it. Ergo, horrible place to launch a new venue or location. If it's not natural, it's not working. Where do I launch then? 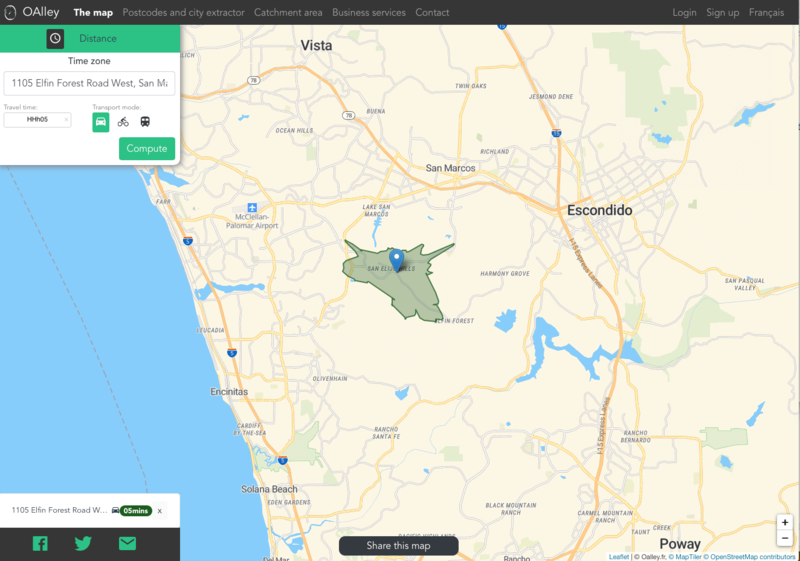 When you look at the drive map of San Elijo Hills, you will notice that it reaches from Escondido to Vista, Carlsbad and Encinitas. While that looks good on paper, you need to understand that San Elijo Hills is a community unto itself: no one from outside of this area drives up the hill to do anything. Therefore, your target audience is not a twenty minute drive, but rather a five minute walk. Once you consider the driving rules within context, your target audience map dramatically changes. That's how these things work: what we know as a rule only works as applied to each specific context. Place San Elijo Hills almost anywhere else in San Diego County, and the rules apply. But here; it's just unique. Your target is the people that live in San Elijo Hills, and you need to be good with that. Are you ready to start planning your next location? Your audience will travel 20 minutes to meet you. Your location needs to be within their natural traffic pattern. Use Oalley and 20 minutes as your rule within context. Man, this is really helpful Russ! I’ve been asking myself some of these questions, but you are really helping us think through the dynamics of designating a strategic location. I love the simple but important issue of “flow.” I’ve never thought about it, but i don’t want to ask people to go to church in a different direction than they do everything else! And I’m realizing how I’ve seen the 20 minute rule play out as well throughout my experience. Great stuff! I’d also love to hear you talk about how well different venues work (schools, store fronts, movie theaters) and if there are different kinds of people who are drawn to different kinds of spaces. I really appreciate your insights on church planting! Glad this is helping the conversation Brian. I am always more than willing to discuss a deeper dive on this topic and similar ones, such as your request for who goes to what venue. If you have a case use, location you would like me to discuss, then I could do a study on the location and target demographic, and assess best course of actions for each venue. Let me know. Thanks!